This keeps the overall plans uncluttered, allows for collective management of annotations in a ‘parent’ view, and coordinates cropping of sub-set views. 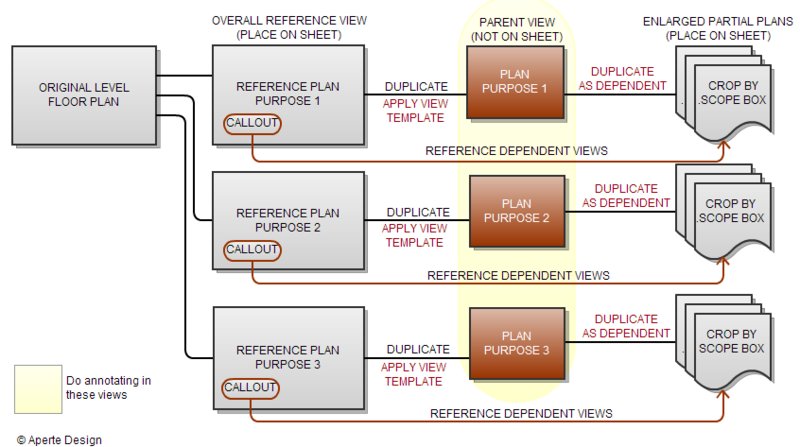 This entry was posted in BIM/Revit and tagged DocumentationWorkflow, ProjectManagement, Revit. Bookmark the permalink.